New Year’s Eve was good and tasty! 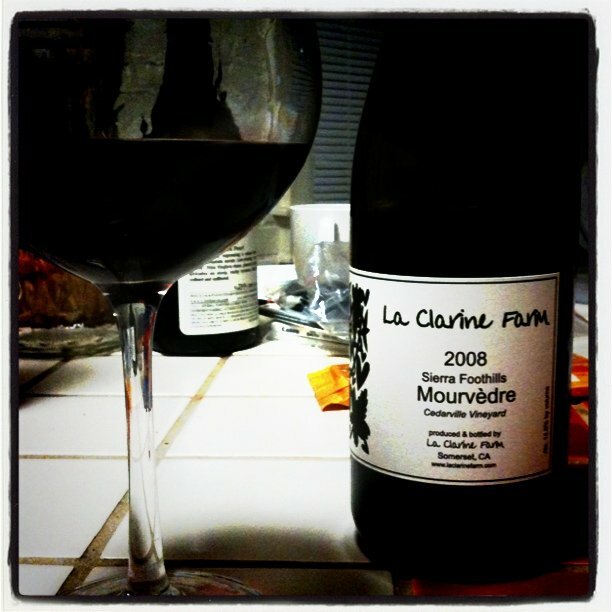 We started modestly at home with a Mourvedre from La Clarine Farm. We let the wine breathe for a bit, and then we were able to taste the spicy ripe grapes from the Sierra Foothills. And then we moved the feast to Local Mission Eatery, a good place in the Mission District for fine cuisine without too much bling bling. The place was packed and the cooks in the open kitchen in front of us were hustling and bustling. We had a few dishes: farotto (ricotta, nuts, beans, smoked herbs, duck egg yolk), some pieces of lamb, and some tete de cochon, with some foie gras. Yum yum. With the foie gras we had some Passito from Francis Tannahill, Gewurztraminer 2007, which you can see on the picture above, which reminded me of some of the best ice wines I had during my Ontario wine tour. 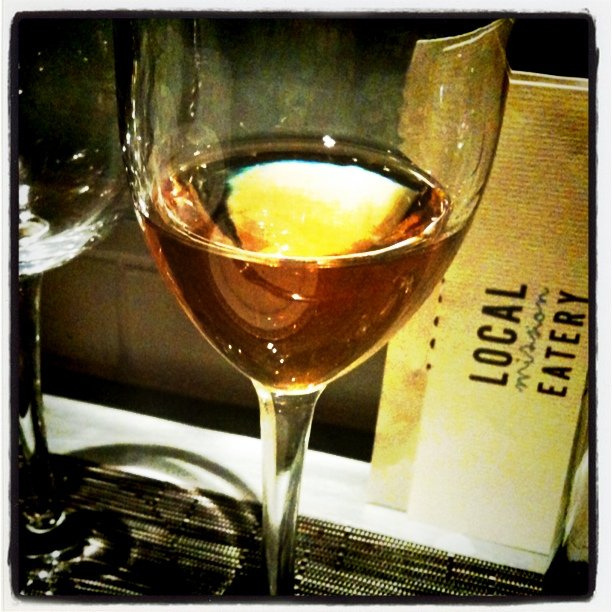 With a sweet touch, orange zest, caramel, and a finish of pears confit. Poured by the one and only Dagan from Terroir.